I don’t know where or when it started. But I know that now it needs to stop. This idea that’s been plaguing me for years, and as a result is hindering my growth and personal belief of who God says I am. It is what the enemy would love to keep present in my mind. It is the thought and idea that I’m not good enough. For as long as I can remember I struggled with perfectionism. As a child I would be so hard on myself if I made a mistake. On the softball field I would cry after striking out. In the classroom I would refuse to turn in less than ‘perfect’ work, and even my rough drafts would be covered in white out because I couldn’t stand the sight of seeing those mistakes. In college it was the rumors that were spread with the intent of tearing me down. It was the voices in my head and outside my head telling me that my God-given talents were never enough, or that my body wasn’t worth more than serving as pleasure for man. In marriage I question being a good enough wife to my husband. Am I serving him well? Am I always this selfish? Am I putting his needs before mine? Am I taking criticism with humility and grace, or am I just quick to list my complaints. Am I loving him unconditionally or with unspoken and unrealistic conditions and expectations? 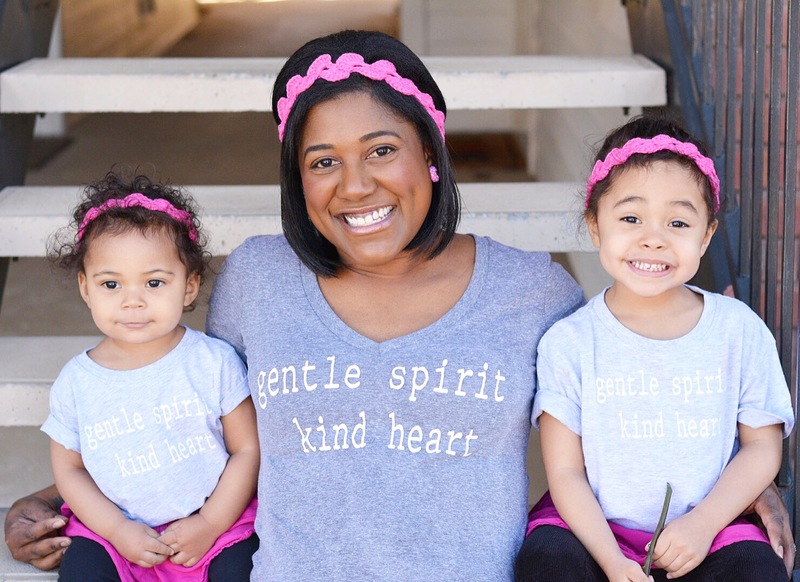 As a mom am I being the example my girls need me to be? Am I walking as God wants me to walk and showing them what He wants me to show them? Am I patient enough? Am I forgiving and tender enough? Am I showing that love with my actions and words? As a woman am I measuring up? It’s so easy for me to compare myself to others. I’m certainly not up on the latest trends and with the second baby I gained weight and a belly that seem to be going nowhere fast. What about my hair? I don’t even know what I’m doing most of the time. And I believe I have a cute face. But is it pretty? Am I pretty? I have definitely been guilty of being too consumed with what other people think and allowed insecurity to get the best of me. Today I cried big wet heavy tears. I sobbed as the saltiness hit my lips. I reached for the tissues and after wiping my face I glanced at myself in the mirror. I was suddenly filled with righteous anger and indignation because I’d had enough. Sometimes people say things and they mean well, but it hurts to the core and you feel more insecure than ever. Other times it’s you who says these things to yourself and the self-deprecating thoughts get you absolutely nowhere. I know that these are lies, and most importantly I know that God wants better for me. He has a calling for my life, and the more time I waste stewing in self pity, the less effort I’m putting forth proclaiming His glorious name! I’m not an unhappy person by any means, but I am a human and sometimes there’s pain and heartache behind that smile. Sometimes I see the lies for what they are, and other times I have to work very hard to fight against them. To Him I am marvelous, and I am, without a doubt, absolutely, positively good enough. Artwork: Ruth Chou Simons of Gracelaced. Name card was a gift from my dear friend Caroline at In Due Time. 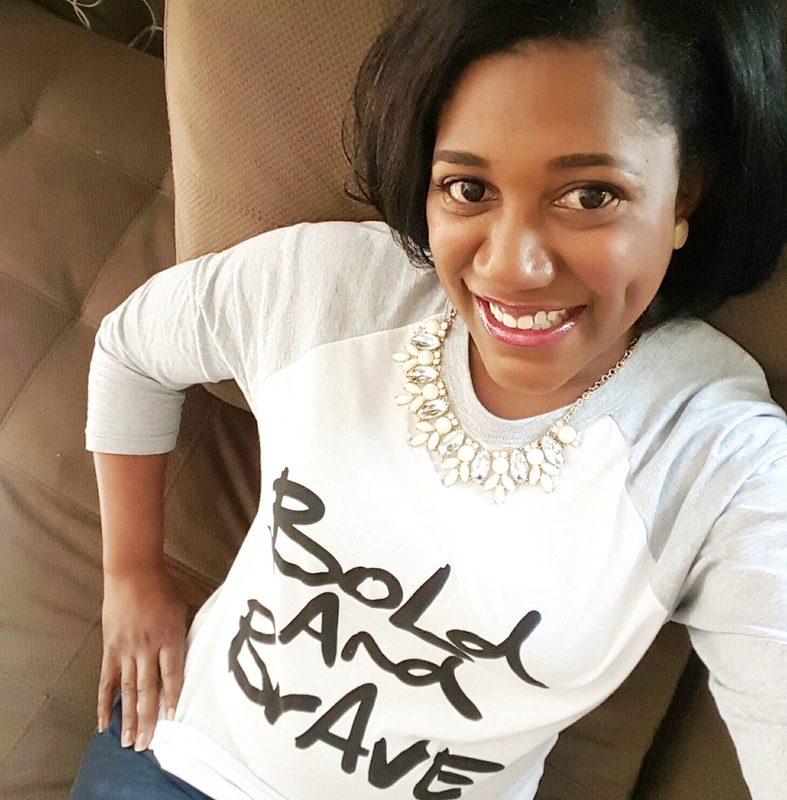 Bold and Brave raglan available at A Beautiful Rawr. Beautiful post Patricia. Thank you for the reminder. It is too easy to forget we are enough as we are! Thank you so much my sweet friend. Love you lots, and yes, we ARE enough! 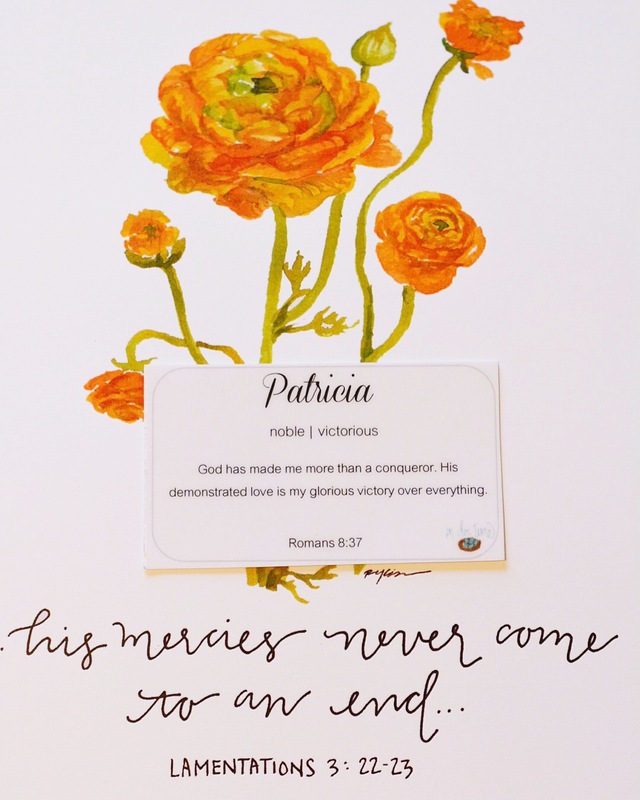 Such a beautiful post Patricia! You have such a way with words. I have a lot of the same insecurities and struggle with them daily. I AM GOOD ENOUGH needs to be spoken every day! Love you friend! Thanks so much Kerry! And I agree! Let’s speak the powerful truth about ourselves daily and silence the lies. You’re beautiful friend! So sorry someone hurt you with their words. I can totally relate and struggle with the same. I wrote a blog post Struggle with feeling beautiful. Words have so much power and people have no clue. I have to remind myself not all thoughts are mine and many come straight from hell. I just rebuke those thoughts and have to remind myself of who God says I am. You are absolutely right friend! You are beautiful too and have such a heart for the Lord. Thank you for your kind words and encouragement!